Great teaching and great learning does not happen by accident, and no one knows this better than Harvey Augustine. His countless hours of work and energy have led to being recently named the 2014-2015 Elementary Teacher of the Year for the Region 4 Education Service Center. Through countless hours of planning, instruction, guidance, and myriad of teacher responsibilities, Augustine has changed students lives by teaching in a way that impacts the hearts and minds of his students. This was a significant accomplishment and a professional milestone for Mr. Augustine who received this honor for teaching math at Newport Elementary School. 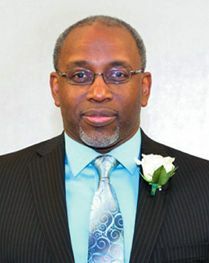 Chosen from elementary school teachers from approximately 50 Harris County school districts, Augustine+fs award was well-deserved and a recognition of the value and importance of his work in education. Christy CoVan, principal of Newport Elementary, noted that Augustine+fs effectiveness rises from the fact that his teaching is not just about academics, but about teaching students dignity, respect, and pride both in themselves and others. Augustine will advance as Region 4s Elementary Teacher of the Year candidates as a finalist for the 2015 Texas Teacher of the Year honor. The Texas Teacher of the Year program is sponsored by the Texas Association of School Administrators (TASA). CROSBY  One local man has left a legacy of love for the expansive natural beauty of our state although he passed to the next world over a decade ago. Victor Holmelin was a longtime resident of Crosby. He passed away 10 years ago after living with male breast cancer for 17 years. Victor loved his family, his friends, his community and the Texas Hill Country. He had a second home in Kendalia, Texas, located just north of San Antonio. He enjoyed spending time there with his family and friends. When Victor passed away, his friends from the Circle decided to honor him by adopting a 2 mile stretch of highway on FM 473 in Kendall County. 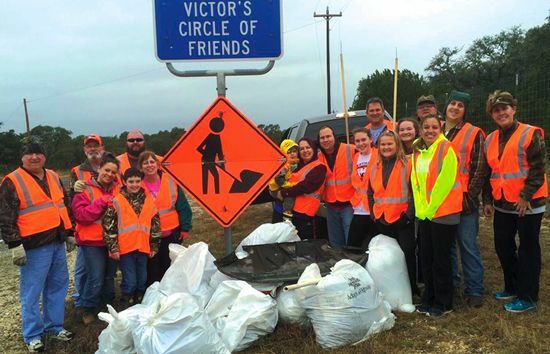 Four times a year, Victors Circle of Friends, gather to clean up that stretch of highway. The original Circle include Sammy and Sandy Chitty, Joe and Joanne Windham, Dan and Mary Kubin, Deb and Robert Kratky, and Debbie Holmelin. The Circle has expanded to include children and grandchildren who gather to help with the cleanup. Victor loved to give back to his community and his Circle of Friends honor him and his life by doing the same.